Typically, you will see macronutrients for Keto listed at or around 70% fat, 25% protein, and 5% carbohydrates. 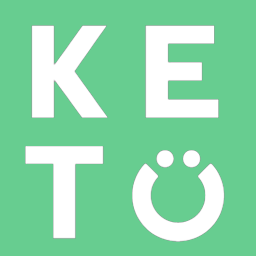 However, it is important to note that there is no one size fits all approach to Keto and macronutrients should be individualized and based specifically on your goal. If you are new to Keto and you plan on tracking macros, starting with the above macros can be a great starting point. From there you can listen to your body and adjust your macronutrients accordingly. If after adapted to Keto you find that your training and recovery from training is suffering, you may benefit from increasing your protein. If you find that you are not losing weight, your body may respond better to lowering your fat intake a bit. The point is to experiment and see what works best for you!